Well, another weekend another brew day. We decided to step it up a notch this weekend and go for an all grain batch. It was a relatively small notch though. 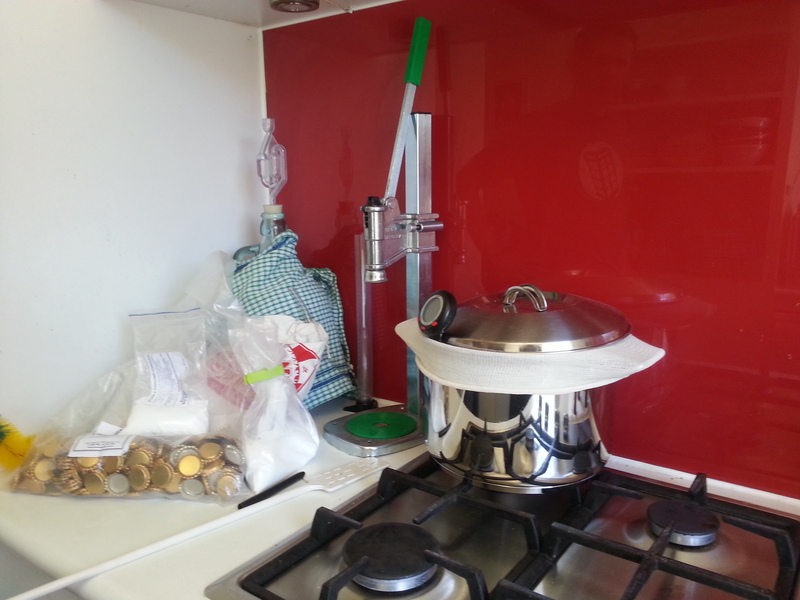 While the batch was an all grain, it was kept to only four litres and the mashing was done in a bag using the brew in a bag (BIAB) technique. 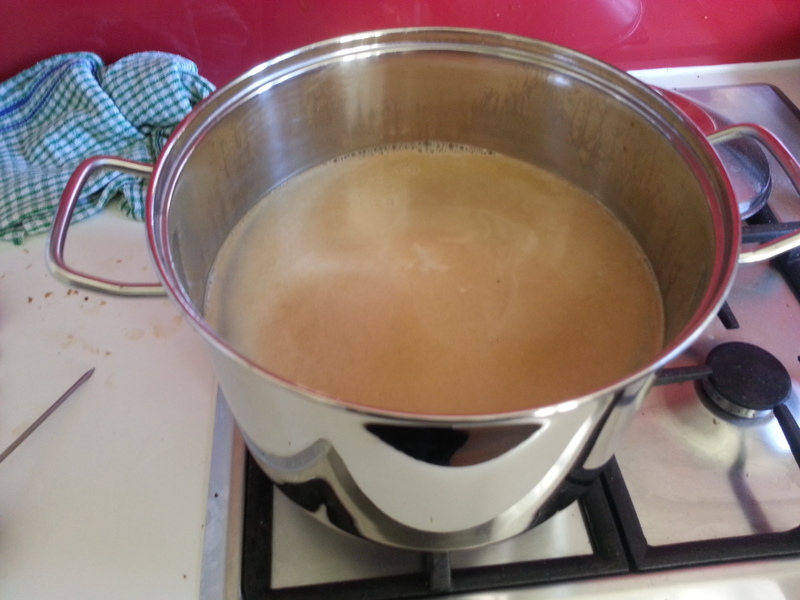 No malt extract was used though, so it wasn’t a mini-mash. 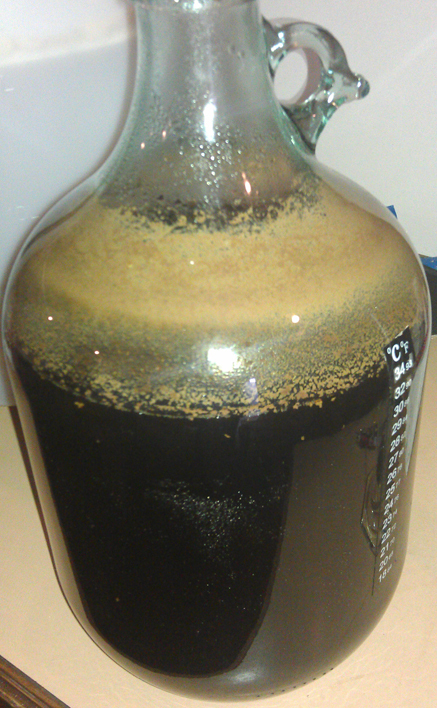 Anyway, the recipe we used was courtesy of jyo on the Aussie Home Brewer Forums and can be found here. You’ll note that the original recipe was for a 23 litre batch, however we modified the quantities to only make four litres. Mashing temperature was called for 65 degrees C.
The recipe called for a 90 minute mash, which is what we did. The BIAB technique is pretty simple. First we calculated the strike temperature which was pretty simple and got three litres of water up to this temperature in a pot. This technique is called brew in a bag because the grains were kept in a bag while submerged in water. While this was easy, keeping the temperature at exactly 65 degrees was fairly difficult. The pot seemed to keep heat fairly well, but there were large discrepancies in different areas when we took temperature readings. If anything we probably should have used more water. For those more interested in the procedure, Craig from Craigtube does a great demonstration here. While we waited for the grain to mash, Mikey and went ahead and bottled the Honey Bomb Wheat Beer we made a couple weeks ago. There was a fair bit of time to kill during the mashing process, so between checking it and adjusting the temperature we bottled and knocked back a couple home brews on the Home Brew Couch. 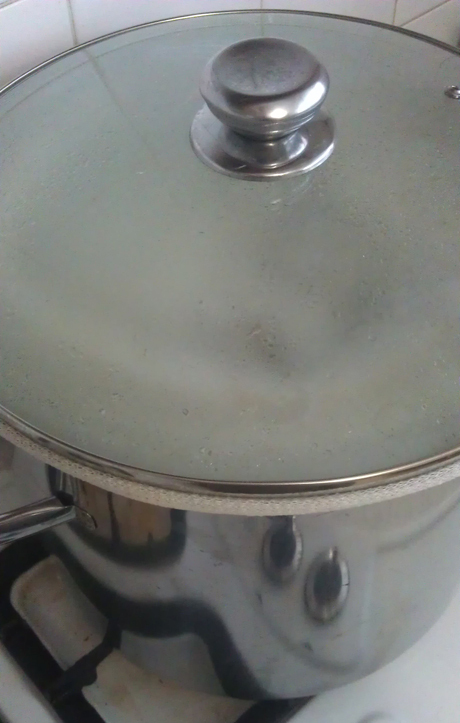 With the mash done, it was sparged with another couple of litres of water and we started the boil. During the sparge we could really tell that the sugar had come out of the grain. We were left with a great, thick liquid that was a beautiful brown colour. And it smelled amazing. From there it was pretty much the same as any other brew. The hops were added for bittering, taste, and aroma. Two days later I added some more hops as a dry hopping. When we were all done, we got a OSG of 1.042. 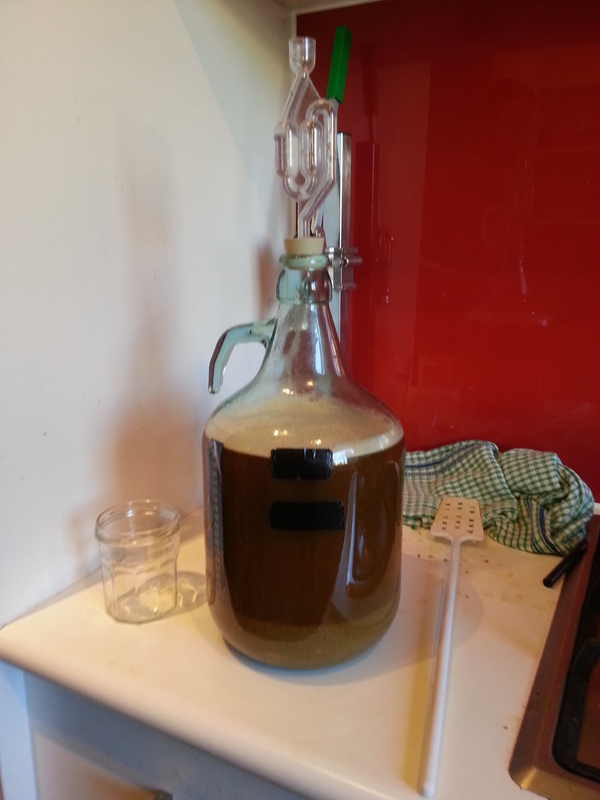 Unfortunately the recipe stated an OSG 1.053, so we were a bit off… I attribute this not only to our temperature difficulties with the mash, but also because we ended up topping the carboy up to four and a half litres rather than four; so it was watered down a little more than it should be. I’m expecting quite a bit from this brew. I think it should turn out to be a fairly decent American Pale Ale. The wort tasted great and full of grain, but it should be fairly well combated by the hop additions. We’ll see how it is in a couple weeks!